Online advertising is growing faster, but television still consumes most of the industry's money -- globally, $6.50 out of every $10 spent. But in the United States, TV advertisers are going to have to work more quietly. 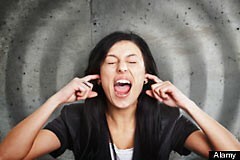 On Wednesday, the Federal Communications Commission announced plans to implement the 2010 Commercial Advertisement Loudness Mitigation Act -- aka the CALM Act -- in which Congress gave the commission, for the first time, authority to address the problem of excessive commercial loudness," according to an FCC press release. "The rules adopted today require that commercials have the same average volume as the programs they accompany," the FCC explained. "They carry out Congress' mandate to give viewers relief from overloud commercials while avoiding unnecessary burdens on television stations and MVPDs [multichannel video programming distributors]." For years, the message from TV watchers has been loud and clear. "The Commission has received almost 6,000 complaints or inquiries about loud commercials since 2008," FCC Chairman Julius Genachowski said in a statement. "So I'm pleased that we have crafted a process that will protect consumers from inappropriately loud commercials, while remaining sensitive to resource constraints of small broadcasters and subscription TV providers." It will be the job of broadcasters, cable and telecommunications companies, satellite and other TV providers to ensure that the volume doesn't spike when programming gives way to commercial interruption. In a separate statement, Commissioner Robert M. McDowell said that TV commercials "will never be the same," mentioning in particular the hyper-vocal pitches for OxyClean, ShamWow!, and HeadOn. Although he offered general support for the FCC's efforts, McDowell expressed reservations about some of the rules being adopted. Specifically, he said that the FCC might be exceeding its legislative mandate in making broadcasters and MVPDs "ultimately liable for passing through loud, embedded commercials by programmers -- over which broadcasters and MVPDs have no control and we [the FCC] have no jurisdiction." He also said it is possible to interpret the language of the CALM Act "as providing the Commission authority to regulate the volume of commercials, but not promos." Promos -- advertisements promoting television programming -- were not exempted from the FCC's rules. "I am unsure whether we are getting the legislative intent right," McDowell concluded, "but I remain hopeful." Unfortunately, the rules don't go into effect until next December -- leaving us all to face another 12 months of intermittent blaring from loudmouthed pitchmen, actors playing sick people, and talking animals.